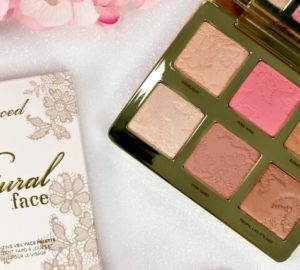 Many people were waiting for this palette to be released, yet some are afraid, that its formula will be similar to the Subculture palette, which was not the best product by this beauty brand. 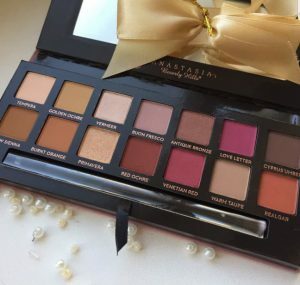 The palette was expected to come sometime in March, yet after the pictures of this palette leaked to the media prior to the official Anastasia Beverly Hills release, it became available on February, 14, 2018. 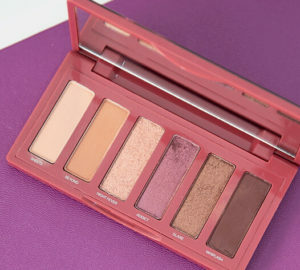 We were so anxious to test it, as we absolutely love the Modern Renaissance palette by this brand for its excellent texture and rich pigmentation. So, let us take a look at this palette closer and see, how these beautiful colors work on skin. a mirror in the package. The shadows appear somewhat dusty on pan, yet they pick up with a synthetic brush pretty well. 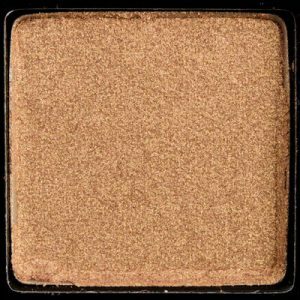 The pigmentation is very rich in both matte shadows and shimmers. Mattes appear somewhat dry and feature certain fallout, so we recommend applying some transparent lose powder under eyes to catch the fallout not to spoil the looks. 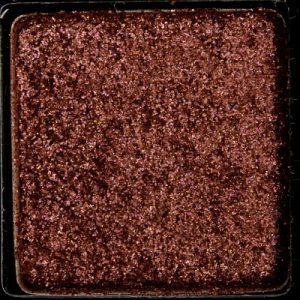 Shimmer eye shadows feel creamy and apply well. We recommend using these eye shadows over eye shadow primer to get better color playoff. Also, this way your eye makeup will not look patchy, as some mattes apply in a patchy way on bare skin. 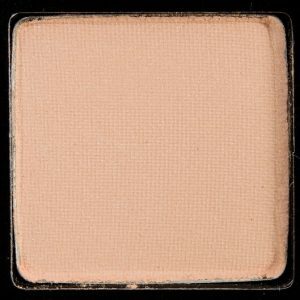 This is a light beige eye shadow with pink undertone and matte finish. It appeared chalky on the eye lid and featured certain fall out. It is somewhat difficult to blend, and it works better with the primer. The shadow wears well for 8+ hours without fading. 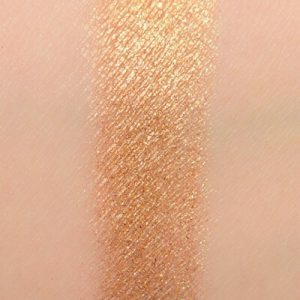 This is a light gold peachy eye shadow with warm undertone and somewhat creamy formula. 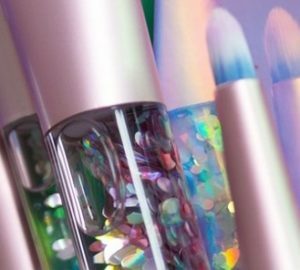 It features shimmer finish and is somewhat difficult to blend over eye shadow primer or other powder eye shadows from the palette. 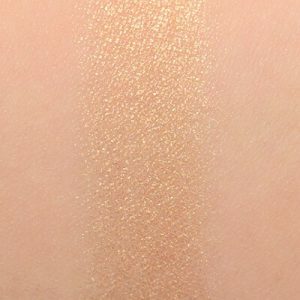 It gives semi-opaque coverage, yet we really like the way this shimmer finish looks. The shadow is well-pigmented. It features moderate fallout and lasts for 6+ hours before creasing. 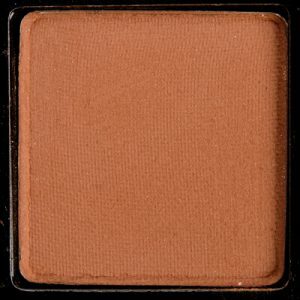 This eye shadow may be used as a good basic color for natural eye makeup. It picks up well with synthetic brush, yet features noticeable fallout and feels somewhat dusty. 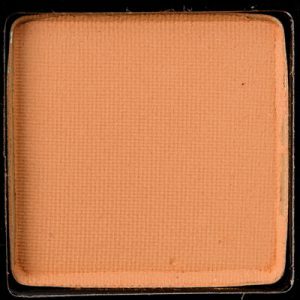 This is a light orange color with warm undertone and matte finish. 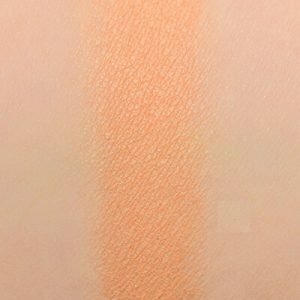 It applies well both on bare skin and over the primer, blends well and is very pigmented. It wears for 7+ hours without noticeable signs of wear. 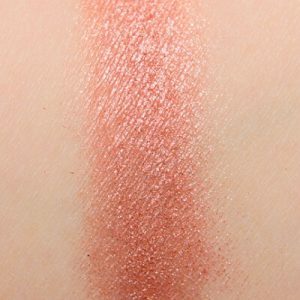 This is pink eye shadow with shimmer finish and warm undertone. It is significantly lighter than Sultry from this palette. 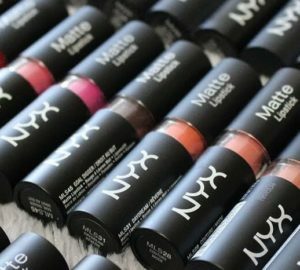 It features creamy formula and is somewhat difficult to blend with the matte eye shadows. Yet, it blends well with the other shimmer eye shadows from the palette. It is better to use glitter primer with it to avoid fallout. It wears for 7+ hours before it starts to crease. 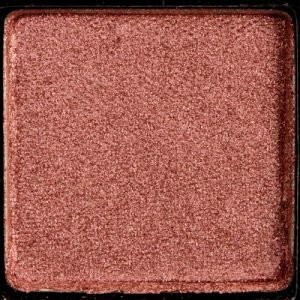 This is pink eye shadow with warm undertone and shimmer finish. 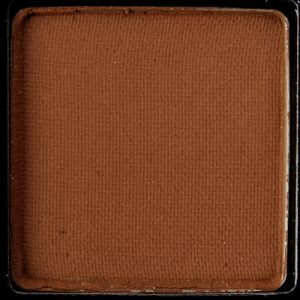 It is extremely pigmented and features creamy formula. 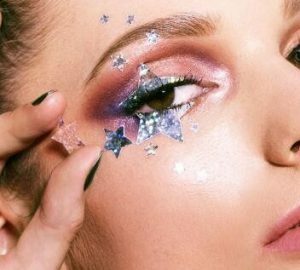 We’ve noticed certain fallout when tried applying it just over the eye shadows, so we highly recommend using glitter glue or primer with it. It wears for 7+ hours over glitter glue without significant fallout. 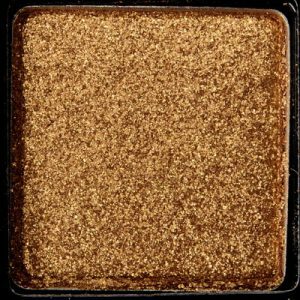 This is a rich gold eye shadow with shimmer finish and warm undertone. It features yellowish shimmer and does not look bronze, as it’s closer to gold. The eye shadow is very pigmented. 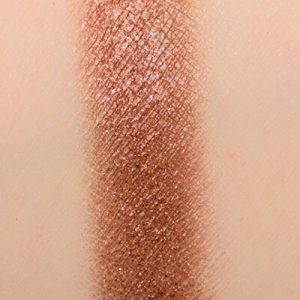 It features creamy formula and blends well with the other shimmers from the Soft Glam palette, yet you will have to put some effort to blend it with mattes. You can apply it with a synthetic brush, yet if you do so, you are looking to get significant fallout. We found it easier to apply either with dampened brush or with a finger. It stays for 6+ hours before starts to fall out. 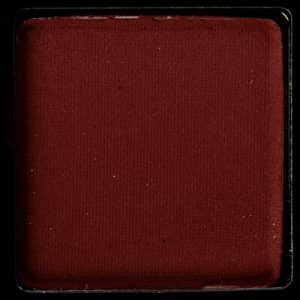 This is dark red eye shadow with matte finish and warm undertone. 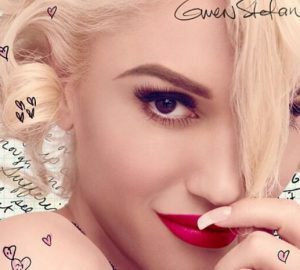 It features excellent pigmentation and the color appears on the eye lid exactly like it looks in the palette. 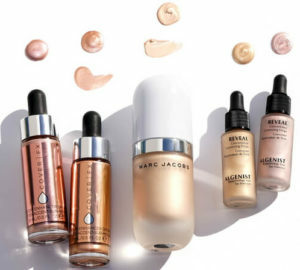 We must admit, we thought this was one of the best eye shadows in the palette and is a must-have if you are into that trendy reddish makeup, until we applied concealer to apply shimmer eye shadows. 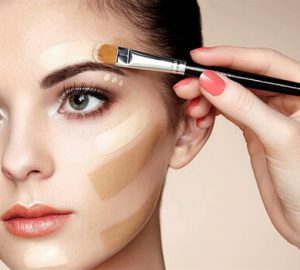 The color went significantly darker when we tried blending the eye shadow with the concealer, which made the eye makeup somewhat patchy at this place. 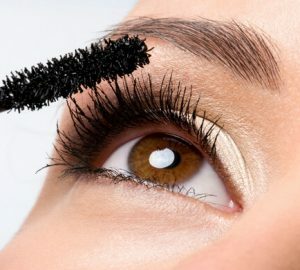 It blends well with a synthetic brush, yet when you apply too much of eye shadow it becomes darker where you blend it. 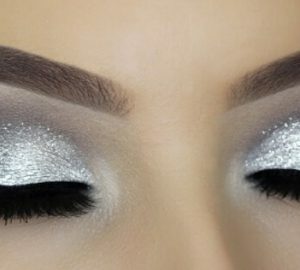 The eye shadow lasts for 8 hours before creasing. 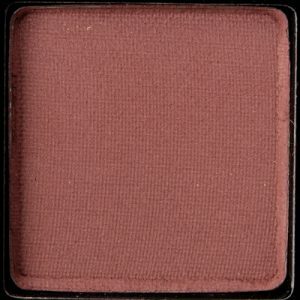 This is a matte grayish rose eye shadow with cool undertone and matte finish. It features chalky texture and features certain fallout when applied on the lid. The color playoff is better when we applied it over the primer, yet on bare skin it does not appear patchy. It blends well, yet becomes darker when blended with creamy textures (concealer, cream eye shadows, shadow base). It wears well for 7+ hours. 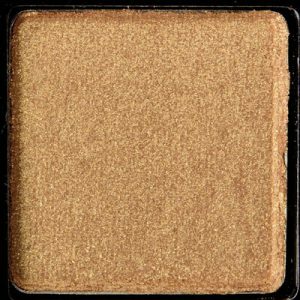 This is a shimmer eye shadow with warm undertone that can be described as light gold. 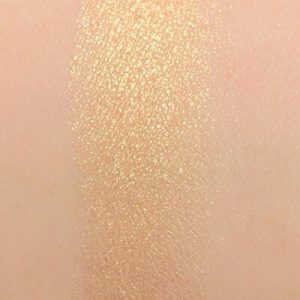 Its formula is somewhat creamy, yet it is denser than the other shimmers in the palette. 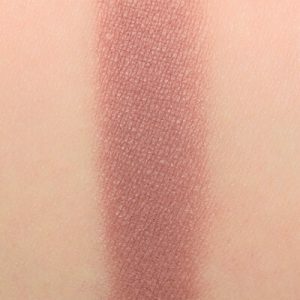 It blends well both with the shimmers and mattes. 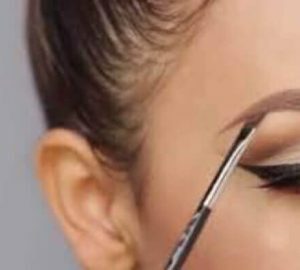 Yet, you will notice certain fall out when applying this eye shadow over a matte one from this palette. We found it easier to apply with dampened brush for better color playoff. It wore for 7 hours before we noticed creasing. 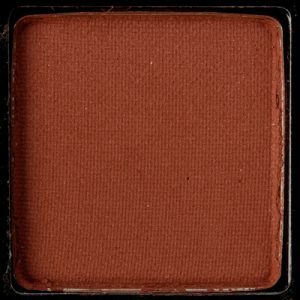 This is dark orange eye shadow with warm brownish undertone and matte finish. The texture appears somewhat dusty. 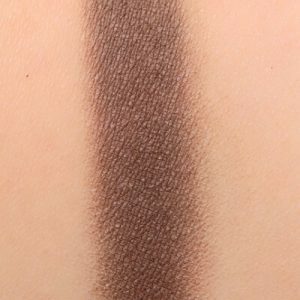 It is quite difficult to blend this eye shadow, so this won’t be the right transition color if you want to use it this way. 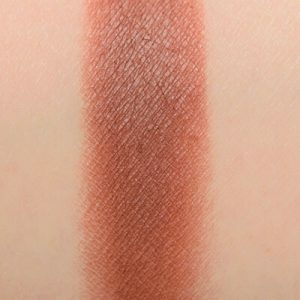 By the way, this burnt orange differs from the burnt orange we’ve seen in the Modern Renaissance palette, it’s closer to soft brown, than to orange. It stays for 7+ hours before it starts to crease. 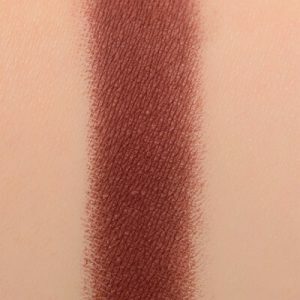 This is a matte deep brownish cranberry eye shadow with matte finish and warm undertone. It gives a lot of fallout, the texture is somewhat chalky, and the eye shadow picks up well with a synthetic brush. 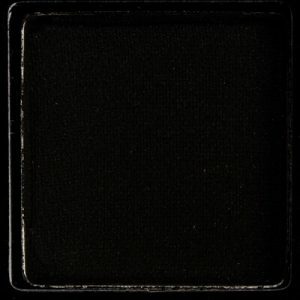 This eye shadow is well pigmented, and blends somewhat difficult. 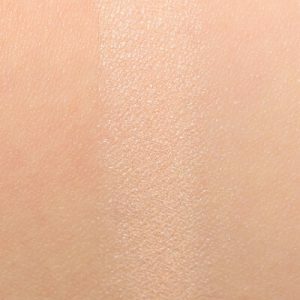 When applied on bare skin, the eye shadow gives patchy coverage. It lasts for 6+ hours with noticeable fading after this time. 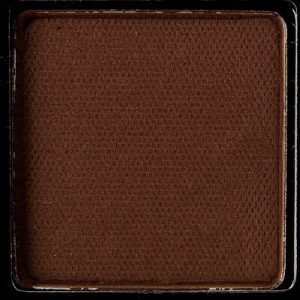 This is a brown eye shadow with matte finish and warm undertone. 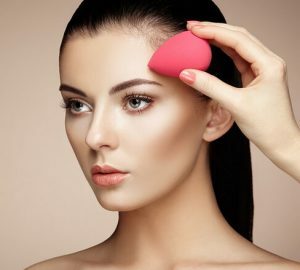 It may be used for basic everyday make ups or you can use it as a transition color. 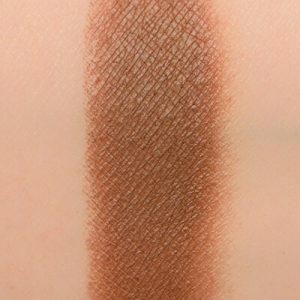 It blends well and features good pigmentation. It wears well for 8+ hours before fading. The texture is somewhat dusty, like in the majority of mattes in this palette. This is a dark chocolate brown with cool undertone and matte finish. Its texture is somewhat dusty and significant fallout. It blends well, yet when we tried blending it with the oranges, we noticed certain color shifts on the eye lid. It wears for 7+ hours over the primer. 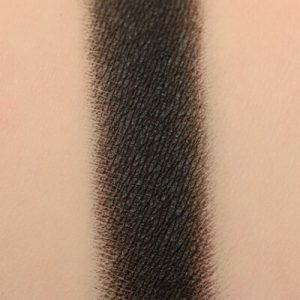 This is matte neutral black color with semi-opaque coverage and somewhat dry texture. To gain that deep black color you will have to do several layers. 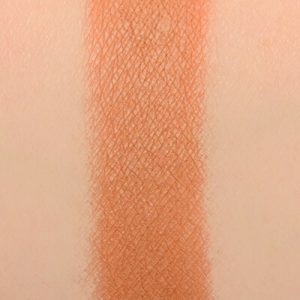 It applies well both over the primer and over the other eye shadows from the palette. Yet when we tried applying it on the eye lid without any primer or base, it went somewhat patchy. It wore for 8 hours without signs of fading or fallout. 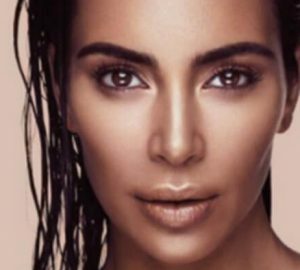 We cannot say that this palette is a must-have, as the basic mattes that can be used for everyday makeup feature significant fallout. And not everyone has enough time to clean that in the morning. 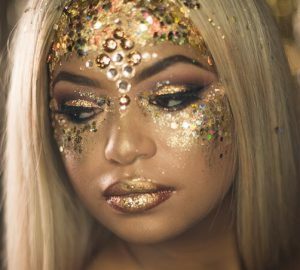 We liked the way the glitters applied over the glitter base, so if you are into glitters, you should definitely try out this palette. We also liked the darker matte colors and the way they applied on the eye shadow base without being patchy. 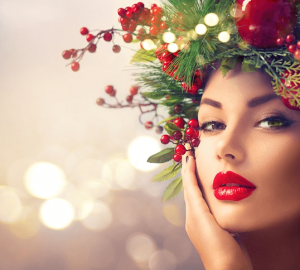 But if you prefer using eye shadows without a primer, the darker mattes may look somewhat patchy on skin, and it will take you some effort to blend them evenly. Overall, we recommend doing eye makeup with this palette prior to applying foundation to hide fallout you may get. 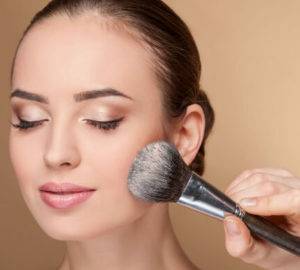 The other way to create neat makeup with the Soft Glam palette is to apply loose powder prior to catch that fallout.